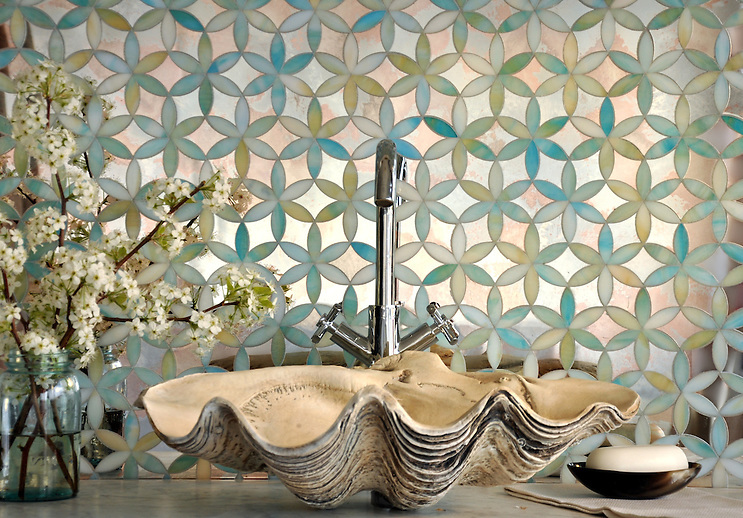 Thank you to The Decorating Diva for featuring our Fiona Jewel Glass and Mirror Mosaic. See original post here . To see more of Fiona click here.